One of the best ways I have managed to “hook” my students on nonfiction is to use their natural curiosity. Many students have questions after reading a novel of any genre. Don’t we all? I know I have been caught more than once googling a topic that intrigued me in a novel. We need to grab on to our students’ natural curiosity, sink our claws in, and guide them toward answers. Forget the internet- the answers they seek can be found in nonfiction books! I have a few favorite go-to pairs of fiction and nonfiction that I use with my students each year. Fever 1793 by Laurie Halse Anderson and An American Plague: The True and Terrifying Story of the Yellow Fever Epidemic of 1793 by Jim Murphy- Fever 1793 is a hit with my students year in and year out. Despite the fact that I struggle to get students to read and enjoy historical fiction, Laurie Halse Anderson has this magical ability to draw her readers into any story. Because I teach in NJ, Fever 1793 always intrigues my students. They come to me with many questions after reading and I always guide them towards Murphy’s book. It has just the right amount of gross stuff, medical jargon, and cool facts. The Music of Dolphins by Karen Hesse and Grayson by Lynne Cox- Dolphins are the most popular animal in the world. Ok, that might be an exaggeration but it sure feels like it when you teach middle school. Any time you ask students to list their favorite animals, dolphins top the list. It’s not surprise that Hesse’s book about a feral child raised by dolphins is popular with middle schoolers. What I really love though, is guiding my students towards Lynne Cox’s Grayson. When Cox was in high school she spent her early morning hours swimming in the Pacific. It is here that she finds a lost baby gray whale and the most amazing day of her life occurs. What dolphin-lover hasn’t dreamed of swimming with the giants of the ocean? Cox actually lived it and still cites it as the most amazing experience of her life. Mr. Popper’s Penguins by Richard Atwater and My Season with Penguins: An Antarctic Journal by Sophie Webb- Mr. Popper’s Penguins is a an absurd tale that my students this year are just eating up. A few of them read it in fifth grade and have been booktalking it to their current classmates. Those who already read Atwater’s silly story have been moving towards real life stories of penguins, like My Season with Penguins: An Antarctic Journal. It’s so much fun to see and hear them learning about penguins while they realize all the myths they thought were true actually aren’t. Shooting the Moon by Francis O’Roark Dowell, Every Soul A Star by Wendy Mass with Moon: Science, History, And Mystery andAlmost Astronauts: 13 Women Who Dared to Dream.- Space, space, space! This year astronomy is a part of the science curriculum, so realistic fiction about space and astronomy has been growing more popular with my kids. Hence, the nonfiction books about space are also flying off the shelves. Hatchet by Gary Paulsen and Guts by Gary Paulsen- Hatchet is my go-to book for reluctant boy readers. It never fails to grab at them and make them wish they could survive a plane crash in the wilderness. Imagine their excitement when I tell them that Gary Paulsen is a read-life adventurer who has actually LIVED many of the stories he writes. While their jaw is still on the floor, I calmly hand them Guts, the companion to Paulsen’s novel. These are just a few of the nonfiction/fiction pairs I use with my students. However, there are hundreds more out there. Just know that corralling your child’s natural need to know more is a great way to introduce them to nonfiction reading for pleasure. We want our students to read all genres for fun. Instead of having them complete test prep pages of “everyday reading” selections, have them make nonfiction part of their everyday reading! Please share some of your favorite pairs in the comments! Evolution of Calpurnia Tate w/ Charles and Emma: Darwins’ Leap of Faith. I love it!!!!! Pairing different genres of children’s books together is a great way to help children connect the dots of learning and reading. It helps them to see themselves, the world, and literature in a whole new way. I love that this list brings science and history into the mix. When you integrate subjects through literature, that’s learning at its best. 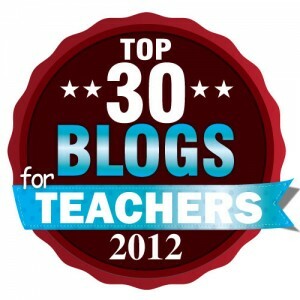 Thank you so much for sharing this list! These are great pairs, Sarah. I have a lot to look forward to with my daughter! Thank you for sharing these pairs, I’ve never read Fever 1793, but it sounds like a great historical novel to explore. I love this! When I read some books, I always find myself wanting to know what was real and what was fiction (esp historical fiction). Excellent pairings! Another great pair for kids is Al Capone Does My Shirts by Choldenko with Children of Alcatraz, Growing Up on the Rock by Murphy. Thanks Sara. Pairing (or tripletting!) fiction and non-fiction is so much fun. I’ve done alot of that with booktalks and I share some of my favorite combos over at Tiny Tips! I loved reading your post because it so reinforces the fun and importance of combining these two types of literature.